Luncheon will follow at the Parish Hall. Perhaps it was the way she simply lived while appreciating every little thing; or the wonderful and soothing way she had of making every care disappear with her encouraging words and warm hugs, yet it was the very heart of Susan Vlasity that made her such a treasure in the lives of those she held close. Truly one of a kind, Susan was the glue that held her family together. A dear woman to know and love, she looked after her family with her nurturing nature, and most importantly, her unconditional love. In her family Susan found her greatest joy. She was a good hearted woman who looked for the best in everyone, and to those who knew her best, she will be dearly missed. By 1931, the difficult days of the Great Depression created a jobless rate of nearly four million. It was a trying time in our nation’s history, yet hope was found as New York City opened the Empire State Building, and celebrated as the Star-Spangled Banner was adopted as the U.S. national anthem. For George and Anna (Pagac) Misun, the days were made brighter with the birth of their little girl, Susan, born on November 1, 1931 in Ashland, Wisconsin. The Misun family made their home in the small community of Moquah, Wisconsin where Susan’s parents were farmers and ran a small store. As the eighth of eventually 15 children in her family, times were simple and in many ways, her family was quite poor.  The Great Depression cast a shadow of hardship on all, and Susan’s family was no exception. Susan’s youth could be likened to that of Little House on the Prairie. They shoveled coal in the morning and Susan attended a three-room schoolhouse where she received her early education. An outdoorsy type of girl, she enjoyed helping pick strawberries, hunting and fishing and she even knew how to make a sling shot. 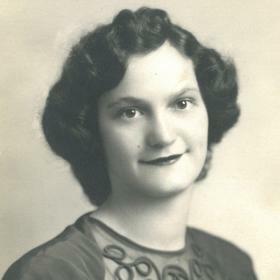 Susan was a good student and in 1949 she graduated from Ondossagon High School in nearby Ashland. The only one in her family to attend college, she went on to attend Ashland Teachers College where she received her two-year degree in teaching. Susan began her teaching career at Phelps School where she taught first grade for several years. 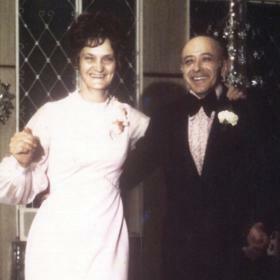 In the spring of 1952, Susan came to know the true meaning of love when while attending a local dance she met Andrew Vlasity. Smitten from the start, they began dating and on June 20, 1953 Susan and Andrew were happily married at Saints Peter and Paul Church in Moquah. The newlyweds honeymooned up north and returned to Moquah to begin their new lives together. It wasn’t long before they began a family of their own which came to be a bustling household of seven children. To support their family, Andy worked at one of the factories in town while Susan remained at home as a loving homemaker raising their family. In 1962, Andy and Susan chose to move to Portage, Michigan to be near relatives and where Andy began working for Miller Lumber Company. Faith was an integral part of Susan’s life and as a charter member of St. Catherine of Siena Church she gave of her time and talents. A devoted wife and dedicated mother, Susan had a way of making even the simple things seem special. It never mattered to her that they were not wealthy with material things because to Susan, they had everything they needed. Their family always did things together such as visiting the park on a Sunday afternoon, taking in a picnic or even going to McDonald’s for ten-cent burgers. Although it was quite cozy at times with seven children in their three bedroom house, Susan made it a home. Even though they may have not have had a lot of money, Susan and her family were rich in so many other ways. She always made the most of what she had, and more importantly, she was thankful. She was a great saver and really knew how to stretch a dime. When it came to her family, Susan was ever attentive and active not only to her children, but later, grandchildren and great grandchildren, as well. She always had games for the kids to play and they often played cards together after dinner. A wonderful cook, Susan made many family favorites although her poppy seed rolls were the best and she taught her kids how to make them, too. Whenever her children came home from school there was sure to be a homemade treat waiting for them in her kitchen. Family reunions were quite important to Susan. She remained close to her family and passed the importance of that on. The teacher in Susan inspired her to teach her children and eventual grandchildren many worthwhile lessons about life. She found joy in the wonder around her, like catching a tad-poll and teaching and showing how they turn into frogs, She loved reading to the kids, and more recently enjoyed reading books which she passed along for others to enjoy. Throughout the years, memorable and joyous times were shared during the holidays and other special occasions. Susan loved hosting the family Christmas gathering at their house every year and of course making her poppy seed rolls. She particularly liked Christmas and other inspirational movies that made her feel good. An avid hiker and a professional at garage sales, Susan knew where to find the best deals and bargains. She was a great gardener, knowing all the names of the flowers and plants. The birds flocked to the many bird feeders at her home and she could easily name them from their bird calls. She enjoyed crafts and her family will always treasure her special gifts made with love. 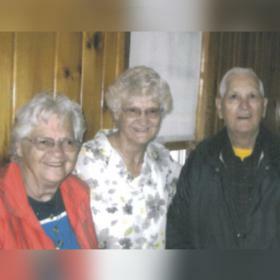 She enjoyed walking and time spent with her walking partners, Sue in Portage and Velma at the Villa. Susan’s generosity of heart and kindness was not limited to her family as she cared for her neighbor as well. For the last five years, Susan and Andrew made their home at the Villa Maria in Grand Rapids. 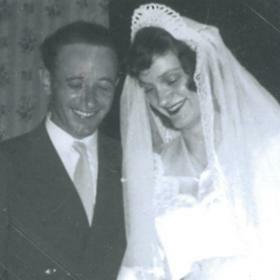 When Susan’s beloved Andrew passed away this last June one day after their 64th wedding anniversary it was no less a very trying and difficult time for her. Her family and good friends saw her though, yet with pure determination and faith, Susan continued on. The family rock with which her family could rely, Susan was a wonderful example of strength and perseverance. Sadly, while getting ready to visit her sister up north, Susan slipped and fell, and later died. Although simple in nature, Susan was a woman of substance whose love shown bright, and her compassion for others was to be admired. Hand in hand, she and Andrew taught good family values, a hard work ethic and did extremely well with what they had. Gone but never to be forgotten, Susan was considered the best mother, grandma and great grandma, and her legacy lives on in those who loved her. 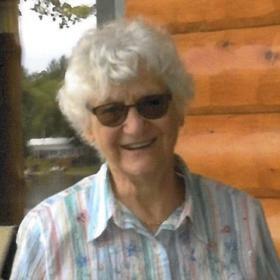 Susan B. Vlasity, age 85, of Grand Rapids and formerly of Portage died unexpectedly October 19, 2017. She was preceded in death by her husband of 64 years, Andrew Vlasity on June 21, 2017; several siblings: Inez Trubachik, Lillian Lunda, Elsie Chvatik, Rudy Misun, Anna Misun, George Misun, Virginia Misun, Georgia Sigl, John Misun, Rosalie Woodhull, and Jack Misun; and 2 sons-in-law: Gary Kucinich and Steve Bown. Surviving are 7 children: Kathy (Tom) Michalak, Betty (Kurt) Dunn, John (Barb) Vlasity, Don Vlasity (Dian Kiwiet); Ken (Steffanie) Vlasity, Cindy Bown and Phil (Jennifer) Vlasity; 18 grandchildren; 2 step-grandchildren; 14 great-grandchildren; 8 step-great-grandchildren; 3 siblings: Tillie (John) Lunda, Mary (John) Trubachik and Helen (David) Ehlinger and many nieces and nephews. Visit with family and friends on Wednesday, October 25, 2017 from 10-11am at St. Catherine of Siena Church, where Mass of Christian Burial will be celebrated at 11am. Following the Mass, a luncheon will be held in the church hall. Please visit Sue’s personal web page at www.betzlerfuneralhome.com, where you can read her story, archive a favorite memory or photo and sign her guestbook. Memorial contributions may be made to Kalamazoo County CASA (Court Appointment Special Advocate). 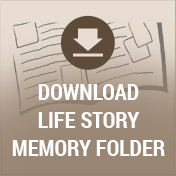 Betzler Life Story Funeral Home, 6080 Stadium Dr. Kalamazoo (269) 375-2900.